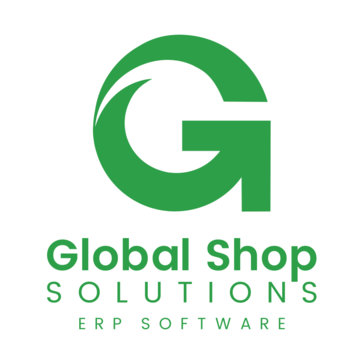 Work for Global Shop Solutions One-System ERP? Learning about Global Shop Solutions ERP? 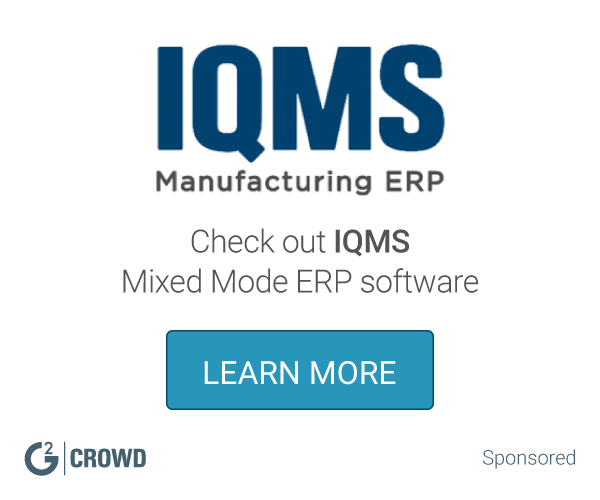 "Finally a Manufacturing ERP that can deliver on scheduling"
GSS has a soundly driven scheduling program that lets you focus on completing orders instead of scheduling them. Still no perfect solution for a shot that has tools that can operate on more than one work center. The consultants are adept at suggesting workarounds for this issue, but it adds quite a bit to the complexity. Global Shop has a great product, but where they really stand alone is on the service side. They have bootcamps that are free to attend in their Houston headquarters. The CEO even stops into each class to introduce himself and answer questions. The consultants know the product very well, and GSS is constantly releasing new "Dashboards" that are free to use. We switched to global shop after getting fed up with having data store in many different places like Excel Sheets, Quickbooks, Officebooks, Google Drive, and personal hard drives. We simply couldn't keep our rate our rate of growth while having so many different system to manage. Global Shop ERP helped get this all consolidated into one easy to use platform. Now everything is a click-through process. Prompt response to issues, Friday Features, all the additional training that is available. There is really nothing that I dislike. Implementation was flawless. Any bumps we hit in were addressed immediately. The customer service team and accessibility to support and additional training is top notch. Take your time understanding your companies needs and plan this out. It took us a year to really lay down the ground work to have a stable platform for GSS to build on. Everything from a new server to new computers for our users, to new switches, etc. Stay on top of the GSS updates and hotfixes and sit in on the Friday Features. You will always learn something new. Every day we encounter new problems. Some are easily rectified and some take time. Global Shop makes it easier for us to access all of our information, in one location to make intelligent and quick decisions. "I use this everyday and love it!" The ease and convenience of the dashboards, I use the open sales order dashboard every single day. I also like that you can personalize your user menu to easily find the things that you use every day. I also like the recent update done to the CRM module, it's much more user friendly. Not being able to find things as quickly as I could in our old system. Also not being able to see a full accounts receivables overview without having to pull up a statement or report. If you use it the way it's meant to be used and give yourself the time to adapt to it, it will do what you need it to do. Keeping track of our sales and sales goals has been a lot easier. Efficiency with how sales are processed from the time that the order is entered to the time that the order leaves the building and is invoiced for payment. "Feature rich system with long learning curve." Full integration between purchasing, manufacturing, accounting, shipping, etc.. Easy to review costs of jobs. Lots of customization options. Updates sometimes create more problems than they solve. Extremely long learning curve. Do testing and parallel systems before implementing. Invest in user training prior to implementation and continue training throughout. Job costing is very accurate. Month-end accounting close is smooth; job scheduling is improving; Management of out independent Field Service Techs is much better. "Easy to navigate and learn"
I like how quickly I can turn quotes into orders. It is very easy to use once you learn the system. Learning the new system was a bit difficult at first, but with enough practice and repetition, it works well. This system is very easy to learn and implement into any company. Time is not being wasted trying to get through the system. The best thing about working with the system is it’s very well laid out and easy to use. I don’t like not being able to pull up old orders. One benefit is that you can link emails so when you pull up a document you can email right away if needed. We were using different systems for quoting, manufacturing, quality and accounting. Global shop Solutions allowed us to integrate all of that into one system. "Global Shop ERP: an IT Managers' first year impressions :)"
Visually appealing and feature-rich, interface is great! As a manufacturing company, Global Shop has worked well integrating process; work flow; documentation; file storage/retrieval; accounting; etc.. making us more productive and helped us realize what needs changed/done/etc.. Global Shop's reporting and analysis features work amazingly well. Once data was loaded it was very easy to turn around a quote to ta customer. Where do I start. The operating system is very slow and takes a long time to load. Each screen requires several clicks just to process a set of information. To complete a new quote will take you a minimum of 3-5minutes to complete as there is way to much information and clicks to go through. Have all our information streamlined. I don't like how the cost structure has evolved into an pay for support and requests above and beyond the annual license fees! We are continuing to find ways to apply or coordinate Global Shop with our processes. "Excellente software. Realible at all times with great information for decision making"
It is very easy to use, with many options to customize depending on your particular needs. We use for several different business and works beautiful for us. Its reporting and ease to make new ones is very friendly. Would love to have an easier screen for invoicing. Would like to have a POS like screen to make easier and faster the invoicing of products, specially the ones that are off-the-shelf (stock items). It is tackling all our needs, from production, inventory to accounting, AR and AP. "Excellent ERP! We now know our true costs. We know how long it takes for each job." Exact cost tracking. Continual improvements. There is very little we dislike. Some bugs at the beginning of a new version is the biggest thing. We now know our true costs. Much better accounting. A software that does everything. "Global Shop Solutions is an all-inclusive product for any manufacturing organizations." We utilize Global Shop Solutions as an all inclusive platform, including all Payroll and Accounting functions. This is a Pervasive based platform versus an SQL server. Make sure that you understand your needs of your organization prior to selecting an ERP platform. Utilizing Global Shop Solutions allows us to view the entire cost of each process in our production facility. "Helps you count the beans"
How it normalizes our process and takes out the guesswork. They need to provide more hands on training and more direction when migrating data. I like the CRM best. All sales order and invoice information is there in one place. I would like to be able to rearrange fields for my use. Production usage and time to create items with bill of materials. Tracking inventory is very simple with this program. Need to have more available training on the program. All in one for manufacturing. Learning about Global Shop Solutions One-System ERP? * We monitor all Global Shop Solutions One-System ERP reviews to prevent fraudulent reviews and keep review quality high. We do not post reviews by company employees or direct competitors. Validated reviews require the user to submit a screenshot of the product containing their user ID, in order to verify a user is an actual user of the product. Hi there! Are you looking to implement a solution like Global Shop Solutions ERP?